Radius Molding? 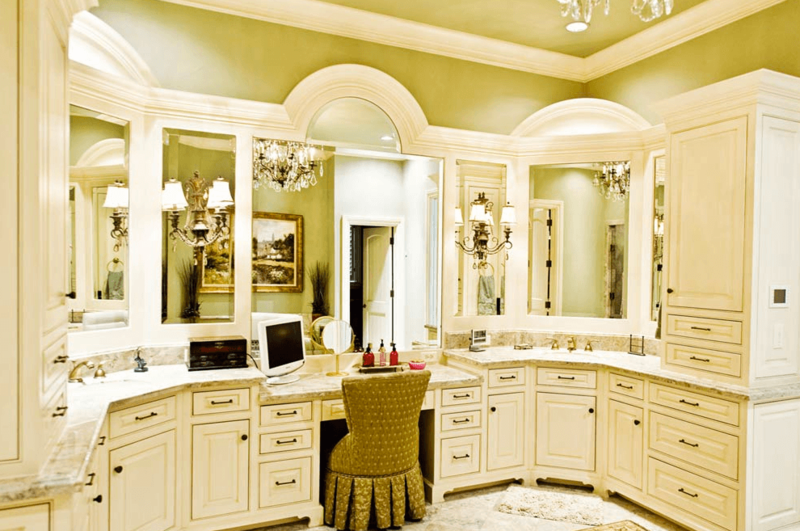 Before you make a decision on the design of your new bathroom based on cost alone, take a moment to evaluate what radius moldings could do to the overall look of your project. Imagine this cabinet system with a regular flat top. The radius moldings give it a timeless flash don’t you think? The key to Beautiful & Interesting Moldings include a simple design with flat fillets or t-astragals (beads) separating any curved profiles; sharp edges for crisp sharp shadow lines; deeply cut incision in thicker moldings to define the profile and create variations in tone with reflected light and shadows; substantial in size and detail, but properly proportioned.